Questions? Call 662-6521, or the Bay County Divison on Aging at 895-4100. Call the Senior Dining Center, at 662-6521 between the hours of 9:30 a.m. and 1:00 p.m. to make reservations or to inquire about the menu. The suggested donation for the noon meal is $2.50. 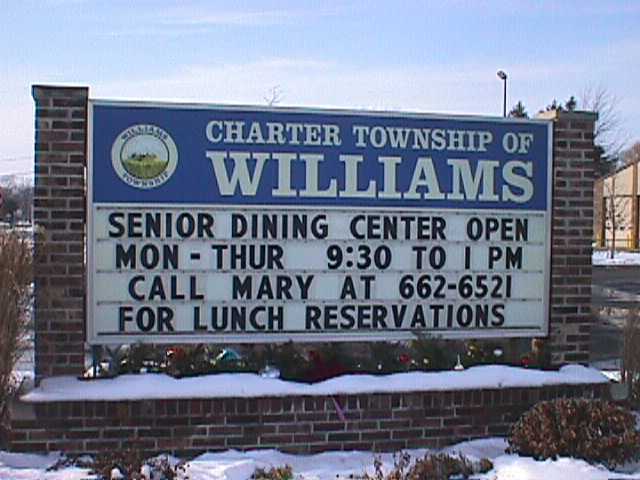 Be fashionable and join other seniors who dine at the Williams Township Senior Dining Center, 1080 W. Midland Rd. Auburn. It's the "in place" for friendly talk, a good cup of coffee or tea, card games, bingo, music, birthday parties, informative programs and a variety of noon meals. Anyone 60 or over, or the spouse of someone 60 or over is welcome. The tasty noon meals are catered by the Bay County Division on Aging. The only requirement is a phone call a day ahead so an accurate number of meals can be sent. Menus are published in the Bay City Times weekly. The latest menus are available by clicking on the link on the left side of this page. Call the dining center, at 662-6521 between the hours of 9:30 a.m. and 1:00 p.m. to make reservations or to inquire about the menu. The suggested donation for the noon meal is $2.50. 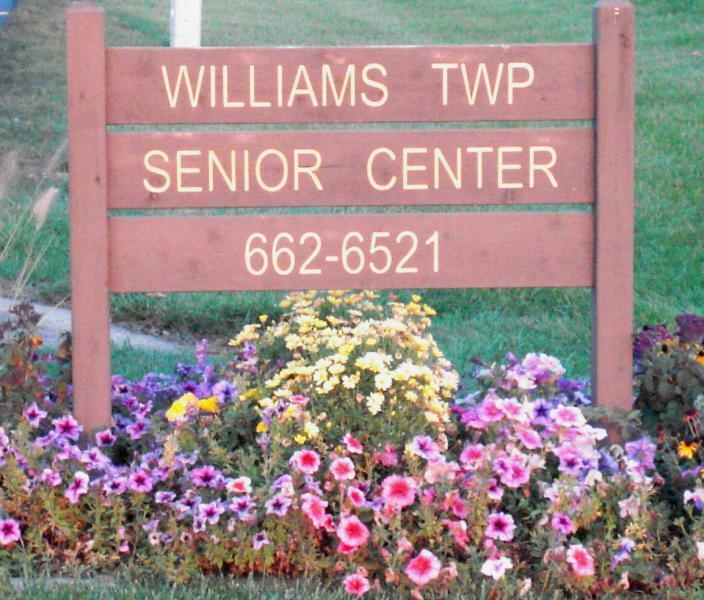 All seniors are welcome regardless of one's ability to pay. Bay Metro is available to seniors who need transportation and the Senior Center is handicap accessible. Click on a thumbnail above to view a full size picture.